Evolution of paleo-environments and climate through Martian history. Morphologic, geometric, stratigraphic, mineralogical, and chemical analyses of the Martian sedimentary formations using orbital data (visible and near-infrared images, hyperspectral images, DTMs) and in situ data (visible images, LIBS data). 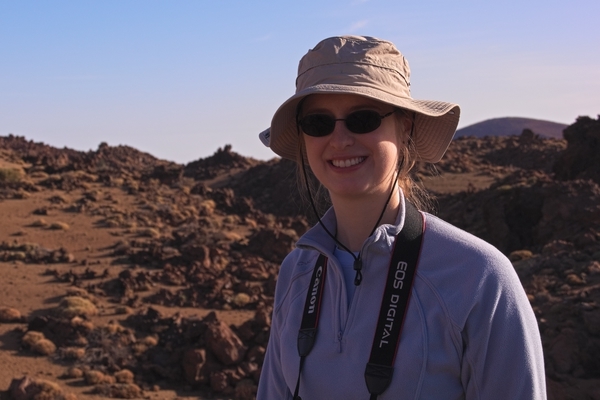 Study of terrestrial analogs to Martian landforms. M. Pondrelli, A.P. Rossi, L. Le Deit, G.W. Schmidt, R. Pozzobon, E. Hauber and F. Salese (2019), Groundwater control and process variability on the Equatorial Layered Deposits of Kotido crater, Mars, J. Geophys. Res. Planets, https://doi.org/10.1029/2018JE005656. N. Mangold, E. Dehouck, C. Fedo, O. Forni, C. Achilles, T. Bristow, R.T. Downs, J. Frydenvang, O. Gasnault, J. L'Haridon, L. Le Deit, S. Maurice, S.M. McLennan, P.-Y. Meslin, S. Morrison, H.E. Newsom, E. Rampe, W. Rapin, F. Rivera-Hernandez, M. Salvatore, R.C. Wiens (2019), Chemical alteration of fine-grained sedimentary rocks at Gale crater, Icarus, https://doi.org/10.1016/j.icarus.2018.11.004. Payré, V., C. Fabre, V. Sautter, A. Cousin, N. Mangold, L. Le Deit, O. Forni, W. Goetz, R. C. Wiens, O. Gasnault, P.-Y. Meslin, J. Lasue, W. Rapin, B. Clark, M. Nachon, N. L. Lanza, S. Maurice (2019), Copper enrichments in the Kimberley formation in Gale crater, Mars: Evidence for a Cu deposit at the source, Icarus, https://doi.org/10.1016/j.icarus.2018.12.015. L'Haridon, J., N. Mangold, P. -Y. Meslin, J. R. Johnson, W. Rapin et O. Forni, A. Cousin, V. Payre, E. Dehouck, M. Nachon, L. Le Deit, O. Gasnault, S. Maurice, R. C. Wiens (2018) Chemical variability in mineralized veins observed by ChemCam on the lower slopes of Mount Sharp in Gale crater, Mars, Icarus, Vol. 311, pp. 69-86. Cousin, A., V. Sautter, V. Payré, O. Forni, N. Mangold, O. Gasnault, L. Le Deit, J. Johnson, S. Maurice, M. Salvatore, R.C. Wiens, P. Gasda, and W. Rapin (2017), Classification of igneous rocks analyzed by ChemCam at Gale crater, Mars, Icarus, 288:265-283, doi:10.1016/j.icarus.2017.01.014. Payré, V., C. Fabre, A. Cousin, V. Sautter, R.C. Wiens, O. Forni, O. Gasnault, N. Mangold, P.-Y. Meslin, J. Lasue, A. Ollila, W. Rapin, S. Maurice, M. Nachon, L. Le Deit, N. Lanza, and S. Clegg (2017), Alkali Trace Elements in Gale Crater, Mars, with ChemCam: Calibration Update and Geological Implications, J. Geophys. Res. Planets, 122(3):650-679, doi:10.1002/2016JE005201. Rice, M. S., S. Gupta, A. H. Treiman, K. M. Stack, F. Calef, L. A. Edgar, J. Grotzinger, N. Lanza, L. Le Deit, J. Lasue, K. L. Siebach, A. Vasavada, R. C. Wiens, J. Williams (2016), Geologic Overview of the Mars Science Laboratory Rover Mission at The Kimberley, Gale Crater, Mars, J. Geophys. Res. Planets, 121, doi:10.1002/2016JE005200. Adeli, S., E. Hauber, M. Kleinhans, L. Le Deit, T. Platz, P. Fawdon, R. Jaumann, Amazonian-aged fluvial system and associated ice-related features in Terra Cimmeria (2016), Mars, Icarus, 277, 286-299, http://dx.doi.org/10.1016/j.icarus.2016.05.020. Oehler, D. Z., N. Mangold, B. Hallet, A. G. Fairén, L. Le Deit, A. J. Williams, R. S. Sletten, J. Martínez-Frías (2016), Origin and Significance of Decameter-Scale Polygons in the Lower Peace Vallis Fan of Gale Crater, Mars, Icarus, 277, 56-72, http://dx.doi.org/10.1016/j.icarus.2016.04.038. Le Deit, L. et al. (2016), The Potassic Sedimentary Rocks in Gale Crater, Mars, as Seen by ChemCam Onboard Curiosity, Journ. Geophys. Res., 121, doi:10.1002/2015JE004987. Maurice, S., S. Clegg, R. C. Wiens, O. Gasnault, W. Rapin, O. Forni, A. Cousin, V. Sautter, N. Mangold, L. Le Deit, M. Nachon, R. Anderson, N. Lanza, C. Fabre, V. Payré, J. Lasue, P.-Y. Meslin, R. Léveillé, B. Barraclough, P. Beck, S. C. Bender, G. Berger, J. C. Bridges, N. Bridges, G. Dromart, M. D. Dyar, R. Francis, J. Frydenvang, B. Gondet, B. L. Ehlmann, K. Herkenhoff, J. R. Johnson, Y. Langevin, M. B. Madsen, N. Melikechi, J.-L. Lacour, S. Le Mouélic, E. Lewin, H. Newsom, A. Ollila, P. Pinet, S. Schröder, J.-B. Sirven, R. L. Tokar, M. Toplis, L. d’Uston, D. Vaniman, A. R. Vasavada (2016), ChemCam Activities and Discoveries during the Nominal Mission of Mars Science Laboratory in Gale crater, Mars, JAAS, DOI: 10.1039/c5ja00417a. Mangold, N., L. M. Thompson, O. Forni, C. Fabre, L. Le Deit, R. C. Wiens, A. J. Williams, R. Williams, R. B. Anderson, D. L. Blaney, F. Calef, A. Cousin, S. M. Clegg, G. Dromart, W. E. Dietrich, K. S. Edgett, M. R. Fisk, O. Gasnault, R. Gellert, J. P. Grotzinger, L. Kah, S. Le Mouélic, S. M. McLennan, S. Maurice, P.-Y. Meslin, H. E. Newsom, M. C. Palucis, W. Rapin, V. Sautter, K. L. Siebach, K. Stack, D. Sumner, A. Yingst (2016), Composition of conglomerates analyzed by the Curiosity rover: Implications for Gale crater crust and sediment sources, Journ. Geophys. Res., 121, doi:10.1002/2015JE004977. Lasue, J., S.M. Clegg, O. Forni, A. Cousin, R. C. Wiens, N. Lanza, N. Mangold, L. Le Deit, O. Gasnault, S. Maurice, J. A. Berger, K. Stack, D. Blaney, C. Fabre, W. Goetz, J. Johnson, S. Le Mouélic, M. Nachon, V. Payré, W. Rapin, D. Y. Sumner (2016), Observation of > 5 wt % Zinc by ChemCam LIBS at the Kimberley, Gale crater, Mars, Journ. Geophys. Res., 121, doi:10.1002/2015JE004946. K. M. Stack, C. S. Edwards, J. P. Grotzinger, S. Gupta, D. Y. Sumner, F. J. Calef, III, L.A. Edgar, K. S. Edgett, A. A. Fraeman, S. R. Jacob, L. Le Deit, K. W. Lewis, M. S. Rice, D. Rubin, R. M. E. Williams, K. H. Williford (2016), Comparing orbiter and rover image-based mapping of an ancient sedimentary environment, Aeolis Palus, Gale crater, Mars, Icarus, http://dx.doi.org/10.1016/j.icarus.2016.02.024. Treiman, A. H., D. L. Bish, D. T. Vaniman, S. J. Chipera, D. F. Blake, D. W. Ming, R. V. Morris, T. F. Bristow, S. M. Morrison, M. B. Baker, E. B. Rampe, R. T. Downs, J. Filiberto, A. F. Glazner, R. Gellert, L. M. Thompson, M. E. Schmidt, L. Le Deit, R. C. Wiens, A. C. McAdam, C. N. Achilles, K. S. Edgett, J. D. Farmer, K. V. Fendrich, J. P. Grotzinger, S. Gupta, J. M. Morookian, M. E. Newcombe, M. S. Rice, J. G. Spray, E. M. Stolper, D. Y. Sumner, A. R. Vasavada, and A. S. Yen (2016), Mineralogy, Provenance, and Diagenesis of a Potassic Basaltic Sandstone on Mars: CheMin X-ray Diffraction of the Windjana Sample (Kimberley Area, Gale Crater), Journ. Geophys. Res., 121, 75-106, doi:10.1002/2015JE004932. Adeli S., E. Hauber, L. Le Deit, R. Jaumann (2015), Geologic evolution of the eastern Eridania basin: Implications for aqueous processes in the southern highlands of Mars, J. Geophys. Res. Planets, 120, doi:10.1002/2015JE004898. Gurgurewicz, J., D. Mège, V. Carrère, A. Gaudin, J. Kostylew, Y. Morizet, P. G. Purcell, L. Le Deit (2015), Inferring alteration conditions on Mars: Insights from near-infrared spectra of terrestrial basalts altered in cold and hot arid environments, Planetary and Space Science, http://dx.doi.org/10.1016/j.pss.2015.09.002. Sautter, V., M.J. Toplis, R.C. Wiens, A. Cousin, C. Fabre, O. Gasnault, S. Maurice, O. Forni, J. Lasue, A. Ollila, J. Bridges, N. Mangold, S. Le Mouélic, M. Fisk, P.-Y. Meslin, P. Beck, P. Pinet, L. Le Deit, W. Rapin, E. Stolper, H. Newsom, D. Dyar, N. Lanza, D. Vaniman, S. Clegg, and J. Wray (2015), In-Situ Evidence for Continental Crust on Early Mars, Nat. Geosci., doi:10.1038/ngeo2474. Jaumann, R., D. Tirsch, E. Hauber, V. Ansan, G. Di Achille, G. Erkeling, F. Fueten, J. Head, M.G. Kleinhans, N. Mangold, G.G. Michael, G. Neukum, A. Pacifici, T. Platz, M. Pondrelli, J. Raack, D. Reiss, D.A. Williams, S. Adeli, D. Baratoux, G. de Villiers, B. Foing, S. Gupta, K. Gwinner, H. Hiesinger, H. Hoffmann, L. Le Deit, L. Marinangeli, K.-D. Matz, V. Mertens, J.P. Muller, J.H. Pasckert, T. Roatsch, A.P. Rossi, F. Scholten, M. Sowe, J. Voigt, N. Warner (2015), Quantifying geological processes on Mars: Results of the high resolution stereo camera (HRSC) on Mars express, Planet. Sp. Sci., http://dx.doi.org/10.1016/j.pss.2014.11.029. Carter, J., C. Viviano, D. Loizeau, J. Bishop, L. Le Deit (2015), Orbital detection and implications of akaganéite on Mars, Icarus, 253, 296-310, http://dx.doi.org/10.1016/j.icarus.2015.01.020. Pondrelli, M., A. P. Rossi, L. Le Deit, F. Fueten, S. van Gasselt, M. Glamoclija, B. Cavalazzi, E. Hauber, F. Franch, R. Pozzobon (2015), Equatorial Layered Deposits in Arabia Terra, Mars: Facies and process variability, GSA Bulletin, v. 127, no. 7-8, p. 1064-1089, doi:10.1130/B31225.1. Jaumann, R., D. Tirsch, E. Hauber, G. Erkeling, H. Hiesinger, L. Le Deit, M. Sowe, S. Adeli, A. Petau, D. Reiss (2014), Water and Martian Habitability: Results of an Integrative Study of Water Related Processes on Mars in Context with an interdisciplinary Helmholtz Research Alliance “Planetary Evolution and Life”, Planet. Sp. Sci., 98, 128-145,http://dx.doi.org/10.1016/j.pss.2014.02.013. Molina, A., M. A. de Pablo, E. Hauber, L. Le Deit, D. Fernández-Remolar (2014), Geology of the Ariadnes Basin, NE Eridania quadrangle, Mars - 1:1Million, Journal of Maps, http://dx.doi.org/10.1080/17445647.2014.888018. Le Deit, L., E. Hauber, F. Fueten, M. Pondrelli, A. Rossi, R. Jaumann (2013), Sequence of infilling events in Gale crater, Mars: Results from morphology, stratigraphy, and mineralogy, J. Geophys. Res., 118, 1-35, doi: 10.1002/2012JE004322. Gourronc, M., O. Bourgeois, D. Mège, S. Pochat, B. Bultel, M. Massé, L. Le Deit, S. Le Mouélic, D. Mercier (2013), One million cubic kilometers of fossil ice in Valles Marineris: Relicts of a 3.5 Gy old glacial landsystem along the Martian equator, Geomorphology, 204, 235-255, http://dx.doi.org/10.1016/j.geomorph.2013.08.009. Hauber, E., T. Platz, D. Reiss, L. Le Deit, M. G. Kleinhans, W. A. Marra, T. de Haas, P. Carbonneau (2013), Asynchronous formation of Hesperian and Amazonian-aged deltas on Mars and implications for climate, J. Geophys. Res., 118, 1529–1544, doi: 10.1002/jgre.20107. Mège, D., L. Le Deit, T. Rango, and T. Korme (2013), Gravity tectonics of topographic ridges: halokinesis and sackung in the western Ogaden, Ethiopia, Geomorphology, http://dx.doi.org/10.1016/j.geomorph.2013.03.018. Le Deit L., J. Flahaut, C. Quantin, E. Hauber, D. Mège, O. Bourgeois, J. Gurgurewicz, M. Massé, and R. Jaumann (2012), Extensive surface pedogenic alteration of the Martian Noachian crust suggested by plateau phyllosilicates around Valles Marineris, J. Geophys. Res., 117, E00J05, doi:10.1029/2011JE003983. Massé, M., O. Bourgeois, S. Le Mouélic, C. Verpoorter, A. Spiga, L. Le Deit, and J.-P. Bibring (2012), Wide distribution and glacial origin of polar gypsum on Mars, Earth and Planet. Sc. Lett., 317-318, 44-55, doi:10.1016/j.epsl.2011.11.035. Wendt, L., C. Gross, T. Kneissl, M. Sowe, J.-Ph. Combe, L. Le Deit, P. McGuire, G. Neukum, Sufates and iron oxides in Ophir Chasma, Mars, based on OMEGA and CRISM observations (2011), Icarus, 213, 1, 86-103, doi:10.1016/j.icarus.2011.02.013. Fueten, F., J. Flahaut, L. Le Deit, R. Stesky, E. Hauber, K. Gwinner (2011), Interior layered deposits within a perched basin, southern Coprates Chasma, Mars: evidence for their formation, alteration and erosion, J. Geophys. Res., 116, E02003, doi:10.1029/2010JE003695. Massé, M., O. Bourgeois, S. Le Mouélic, C. Verpoorter, L. Le Deit, J.-P. Bibring (2010), Martian polar and circum-polar sulfate-bearing deposits: sublimation tills derived from the north polar cap, Icarus, 209, 2, 434-451, doi:10.1016/j.icarus.2010.04.017. Flahaut, J., C. Quantin, P. Allemand, P. Thomas, L. Le Deit (2010), Identification, distribution and possible origins of sulfates in Capri Chasma (Mars), inferred from CRISM data, J. Geophys. Res., 115, E11007, doi:10.1029/2009JE003566. Le Deit, L., O. Bourgeois, D. Mège, E. Hauber, S. Le Mouélic, M. Massé, R. Jaumann, J.-P. Bibring (2010), Morphology, stratigraphy, and mineralogical composition of a layered formation covering the plateaus around Valles Marineris, Mars: Implications for its geological history, Icarus, 208, 684-703, doi: 10.1016/j.icarus.2010.03.012. Massé, M., S. Le Mouélic, O. Bourgeois, J.-Ph. Combe, L. Le Deit, C. Sotin, J.-P. Bibring, B. Gondet, Y. Langevin (2008), Mineralogical composition, structure, morphology and geological history of Aram Chaos crater fill on Mars, J. Geophys. Res., 113, E12006, doi:10.1029/2008JE003131. Le Deit, L., S. Le Mouélic, O. Bourgeois, J.-Ph. Combe, D. Mège, C. Sotin, A. Gendrin, E. Hauber, N. Mangold, J.-P. Bibring (2008), Ferric oxides in East Candor Chasma, Valles Marineris (Mars) inferred from analysis of OMEGA/Mars Express data: identification and geological interpretation, J. Geophys. Res., 113, E07001, doi:10.1029/2007JE002950. Combe, J.-Ph., S. Le Mouélic, C. Sotin, A. Gendrin, J. F. Mustard, L. Le Deit, P. Launeau, J.-P. Bibring, B. Gondet, Y. Langevin, P. Pinet, and the OMEGA Science team (2008), Analysis of OMEGA / Mars express data hyperspectral data using a multiple-endmember linear spectral unmixing model (MELSUM): Methodology and first results, Planet. and Sp. Sci., 56, 7, 951-975, http://dx.doi.org/10.1016/j.pss.2007.12.007.